Trying to resist throwing your hands up and stopping at the nearest drive-thru or ordering take-out this week? I know I’ve gotten to the point when I am so hungry after work that I can barely think…about anything non-food related. But I know that after a long day, re-fueling my body with substantial protein and greens is ultimately going to make me feel the best. I threw together a satisfying stir fry last week, with a creamy, damn delicious peanut sauce that can be drizzled on top. I served my stir fry atop quinoa (shocker, I know), but you can always make some quick-cooking rice or throw it all in a tortilla shell for a delicious wrap. Don’t get me wrong – there is a time and a place for fast food, but I’d rather feed my brain and body with home cookin’ any day of the week. 1 block of firm tofu, diced into cubes (I baked mine with some garlic powder and spicy paprika. See my “Killer Tofu” post for baking directions. You can also stir fry it along with the veggies if you don’t feel like baking. 1. Add oil to a large pan. On medium heat, cook the garlic until slightly golden-brown. 2. Add carrots, vegetables, and dry seasonings, cooking until medium-soft. I like my veggies still to have some crunch. 3. 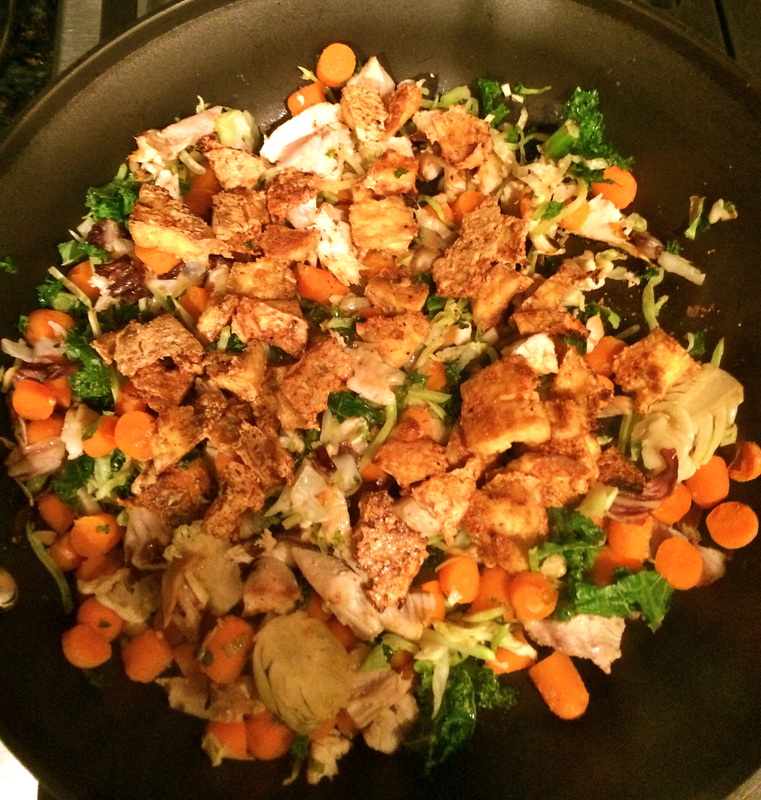 Lastly, add the pre-cooked chicken and tofu, mixing with the vegetables for about 2-3 minutes. 4. 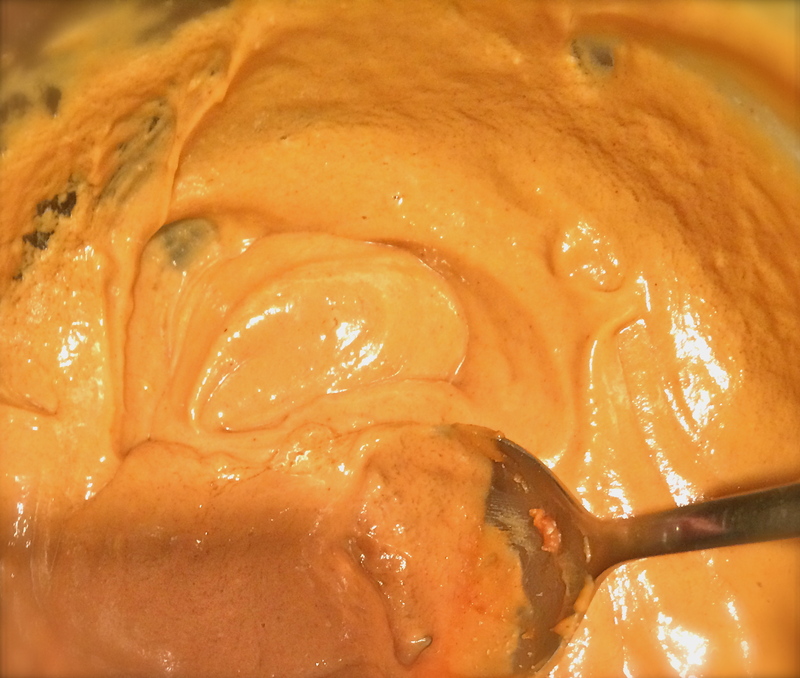 Mix together ingredients for peanut sauce, and add hot water gradually until it becomes “sauce-like” in consistency. 5 Remove stir-fry from heat. Serve in bowls, drizzling the peanut sauce on top. Rice/grain is optional! This dish gives the tofu a great flavor and adds a little crunch.